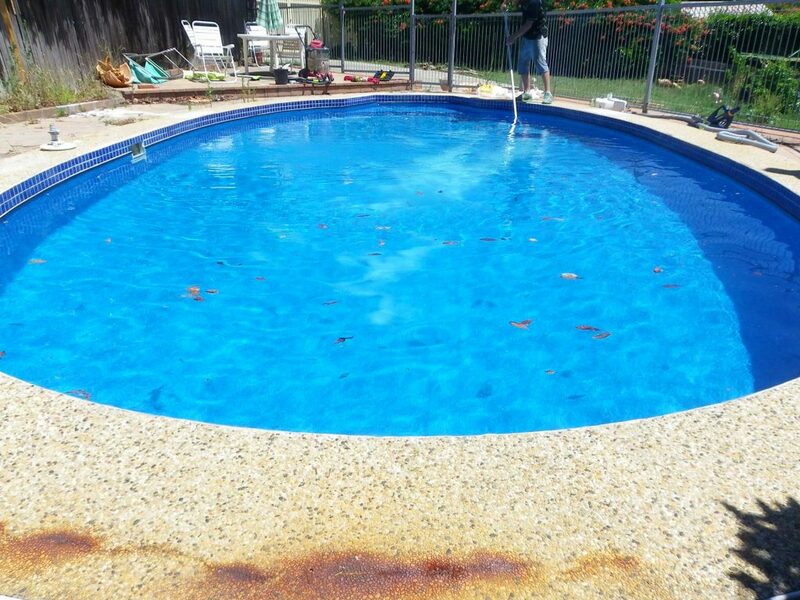 Is your pool looking tired, outdated or in desperate need of maintenance? At ACT Clear Water Pools we can restore your tropical oasis to its former glory, with regular pool maintenance and servicing. We are happy to tailor our services to most effectively meet your needs. With well-equipped service vehicles, we can deliver all of your pool maintenance requirements, whether you are wanting one-off or regular pool servicing. and maintenance. We are also happy to arrange a maintenance servicing schedule, so that you can enjoy your pool area without having to get your hands dirty. So that we can customise our services to your individual requirements, we’ll arrange an onsite consultation to discuss your needs. Our pool maintenance and servicing specialists can advise you on the right pool chemicals, filtration systems and pool cleaning equipment to keep your pool clean and hygienic all year round. Your pool and surrounds add value to your home, so it’s vital to maintain these in optimal condition. With regular maintenance and servicing you not only ensure your pool stays clean and aesthetically appealing, it also helps you to avoid expensive repairs further down the track. Our pool specialists have expertise in the maintenance and servicing of all pool types. 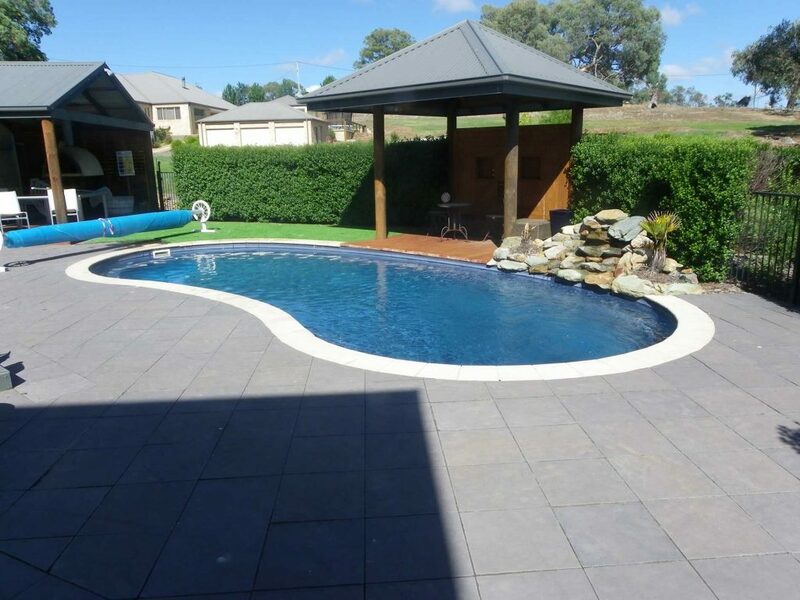 We also stay up-to-date with pool safety specifications, so that you have peace-of-mind your pool and the surrounds are safe, stylish and functional. Our team provides the highest standard of pool maintenance for your home, using the latest products, services and equipment. We can servicing service and provide maintenance and repairs for pools of any scale and will offer the best and most cost-effective solution to your pool demands. If you need pool chemicals or filters and other equipment replaced, we are also able to source these for a competitive rate. ACT Clear Water Pools has built a reputation for reliable and professional pool servicing and maintenance. 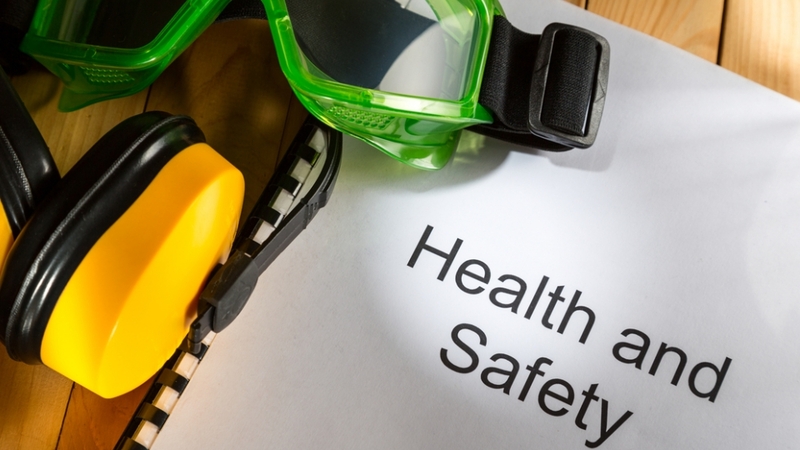 To see how we can keep your pool maintained in optimal condition, call our friendly team for a pool consultation today. We will find the ideal pool maintenance solution to accommodate your lifestyle and budget. Our pool technicians can also arrange a regular servicing and maintenance schedule for you, on a day and time that’s convenient. Did you know that the average swimming pool contains between 40,000 and 80,000 litres of water? That’s a lot of liquid to look after, and the pool pump is vital for doing this job. 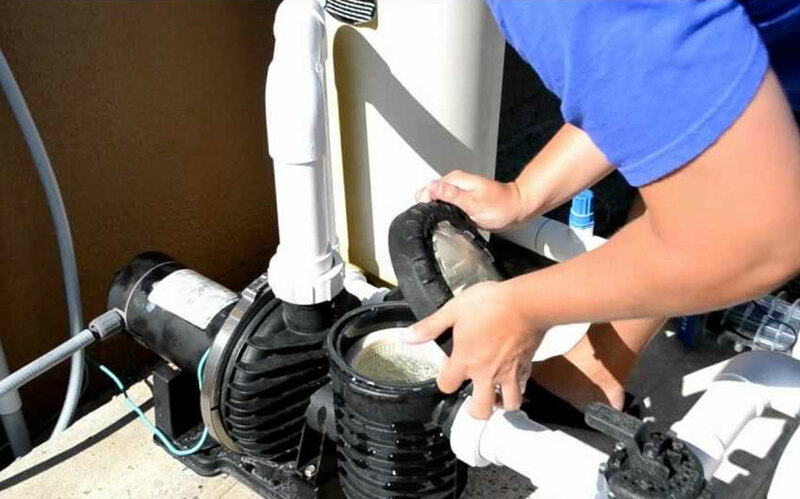 Your pool pump works by drawing water from your pool and filtering to remove all the impurities that could damage your pool and cause it to become dirty. 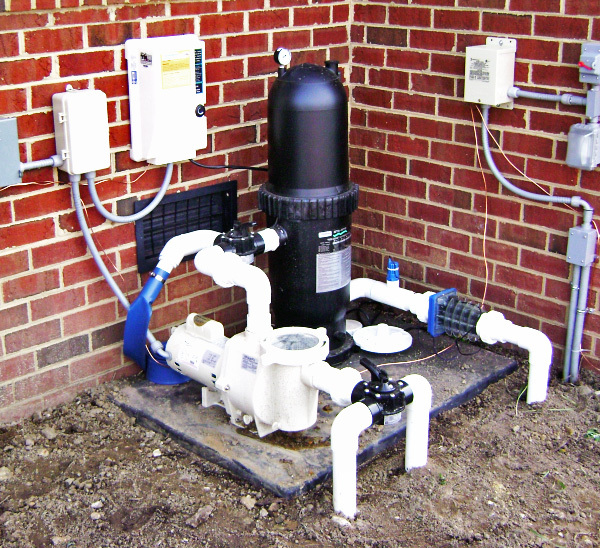 You want your pump to be properly installed by experts like us, otherwise you could face costly pool repairs further down the line. If you already have a pool pump installed but believe it needs maintenance, get in touch with us right away, so you can get on top of the issue before it becomes a bigger problem. There are different types of pool filters, the main ones being glass, sand and cartridge. It’s important to get the biggest pool filter you can afford for your budget because you often need a larger one than you think. We can also give you advice on your chlorinator systems, auto dosing, robotic cleaners and pool lights. As the weather begins to warm up, it’s time to get your pool in top shape for the summer – call us today for your free quote and get into the water in no time! Please contact us to discuss our services.